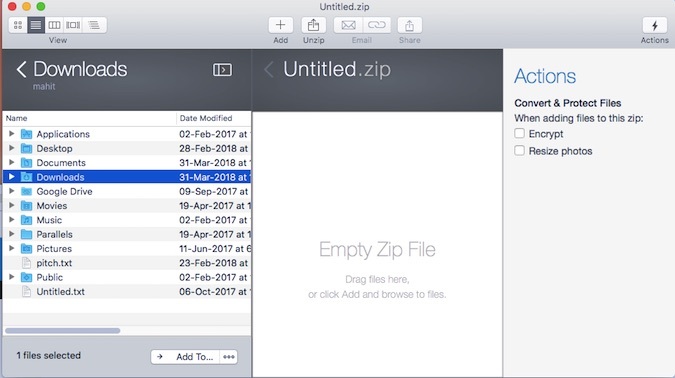 Unlike Windows, macOS can handle ZIP archives natively, but for other archive types like RAR and 7-Zip, you’ll need a third-party app. Getting a quality RAR or ZIP file ready on your computer can make a world of difference when you’re trying to keep your data organized while avoiding taking up too much disk space. But it is often tough for Mac users to find a quality program that can help with getting these files ready. After all, WinRAR is not available on Mac and this kind of puts us in a quandary. But that’s where these good WinRAR alternatives for Mac users can come in handy. You don’t have to struggle with trying to get RAR or ZIP files ready on your computer when you have a great program that lets you create those files while also unpacking files you might find. Besides, there is no real reason why Mac users should not be able to get their files packed into RAR or ZIP files. 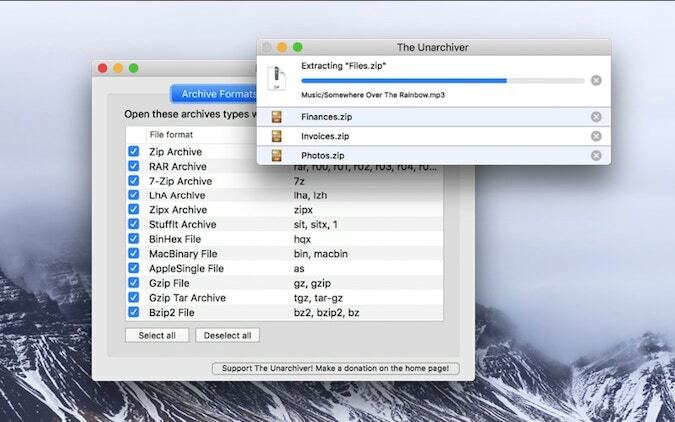 Does the Unarchiver sound like a strange name for a WinRAR alternative for Mac users? Maybe it is, but the Unarchiver is perfect for your work. 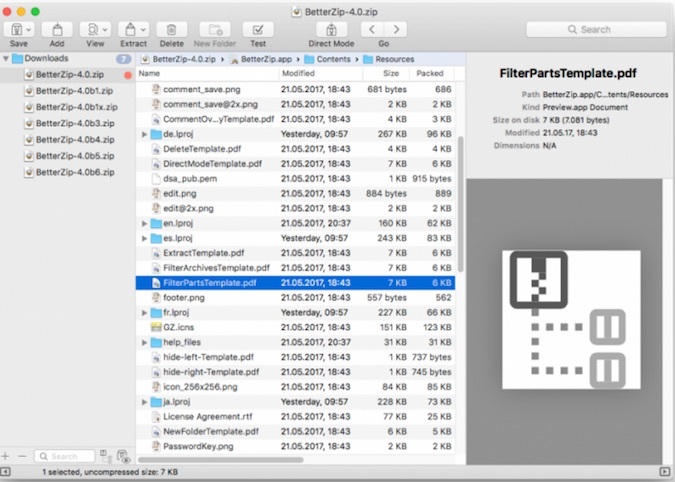 With the Unarchiver, you can handle more file formats than the Archive Utility program that Mac OS X comes with. This is a free open source program that works quickly as a basic option. Consider this if you just want something that is generally no-frills but still works with support for more file types than what OS X can already work with. On a related note the Unarchiver stores all of the files/folders within reach, unlike Apple’s archive tool that hides it in CoreServices folder. The app is also available on App store. Pros: Supports files with foreign characters, does not use lots of system resources. Cons: Does not work on OS X 10.6 or lower, does not compress files. Also, it doesn’t let you extract individual files from a full zip/rar/iso file. The Unarchiver only allows you to extract the full zip/rar/iso file. If you want to see the list of contents and let you extract individual files, then go for “The Archive Browser” — another app made by the same dev. Like The Unarchvier, it can handle a large number of different archive formats, but on top of them, it also lets you easily peek into the archive, find the files you need, preview and extract them without unarchiving everything. Pros: Can extract single files from the archive and works with almost every different archive format including the older ones like StuffIt, DiskDoubler, LZH, ARJ, and ARC. 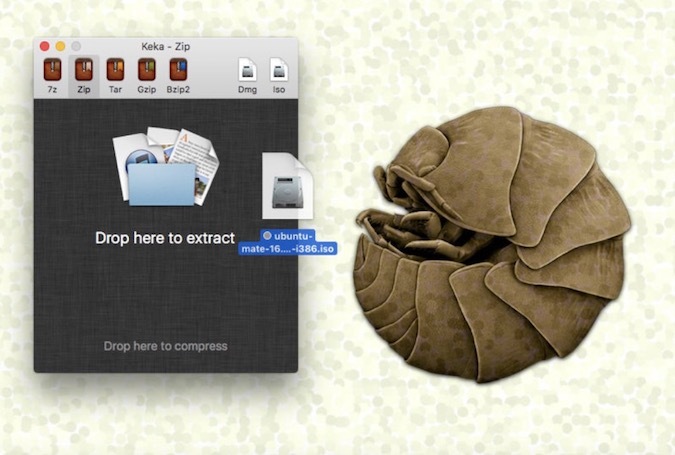 While 7- Zip is not officially available on macOS, Keka is the best 7zip alternative you can find. The app is a ported version of the 7-Zip, so you’ll be able to extract 7z, Zip, Tar etc, along with other popular archive formats like RAR, Zip, Tar, ISO, EXE etc. The app is free to download from the official website, but if you want to download the App Store you’ll have to shell out $2. We haven’t tried the App store version, so can’t really say if it spots some new feature. That said, the version downloaded from the official website offers faster compression, compared to other apps in the list. Pros: Faster compression. You can also specify different compression level like you do with 7- zip. It also supports Password protection. Cons: You have to drag and drop files to compress them, which may or may not be intuitive depending on how you like to use your compression app. Don’t assume that WinZip is just a Windows-only program. 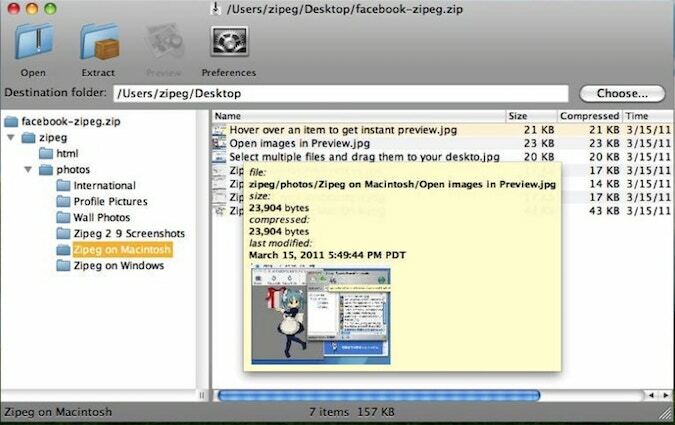 WinZip has been running a Mac version of its program since 2010. It works with many of the functions that WinZip has supported since it was first introduced in 1991. But the user interface on WinZip Mac Edition is cleaner than what the Windows version offers. It lets you choose from many file formats including not only the RAR and ZIP formats but also the LHA, Zipx and 7Z formats. You can also preview the contents of a file before opening it through WinZip. You can also share your files with Dropbox, iCloud Drive and Google Drive among many other cloud-based programs. WinZip Mac Edition lets you get all those files linked up to a database with ease. Pros: Does well with Mac application bundles, simple and easy to use, does not use lots of memory. It is very easy to organize your files with BetterZip. If anything, you can use this if you have a regular need for handling files at the workplace as this works with a faster interface for keeping it working well. 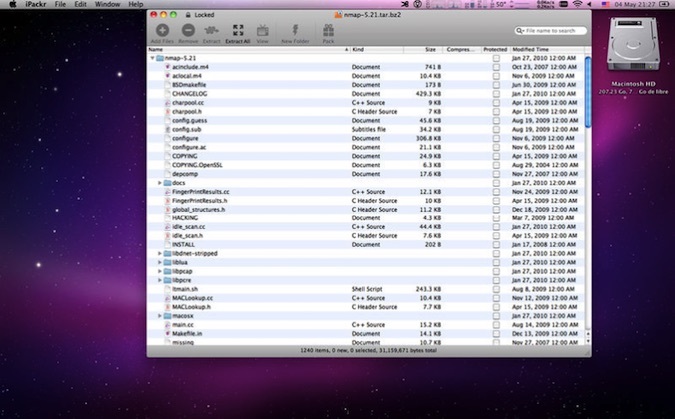 You can add or delete files from your archives fast. You can rename files or even move them into different folders. BetterZip reviews your changes and adjusts the files accordingly to ensure everything stays intact and can be read well enough as you open up your files. You can open and edit ePub files and even get images off of PDF or Flash files. DMG files can also be extracted or opened through the BetterZip program. You have the option to work with a quick look option too so you can preview everything inside the unit. Pros: Simple preview interface, review all photos before you extract a file. Cons: Takes a bit long for the program to load up previews. You can use another free option in Zipeg. It is another bare-bones option but it is fine if you simply want a program you can use right now without having to get through lots of technical stuff just to make it work. But you might be impressed with how flexible the program is as it works with many types of files. Zipeg works for not only common file formats but also for rare ones like CPIO, ARJ, LHA and WAR files. You can move over each file in a package to get a quick preview of it before you open up the entire pack. Pros: Simple and intuitive design, works with Gmail and Facebook files, works fast. Cons: Not as intensive as some other options on the market. 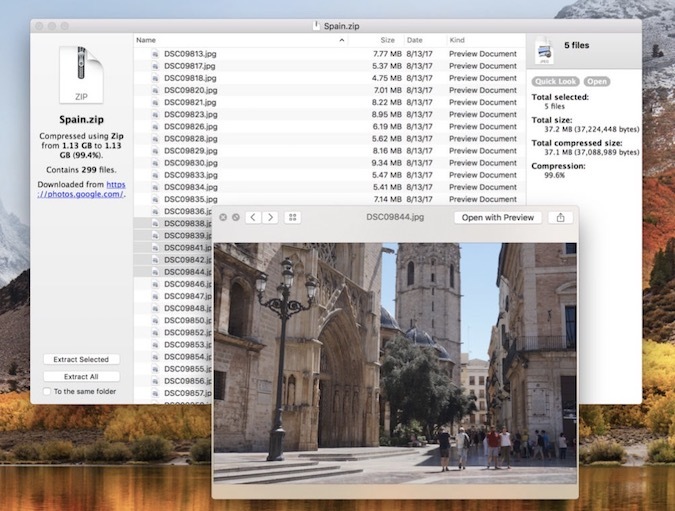 iPackr has not gone through many updates since it was first released in 2011, but it is still useful for when you are aiming to get your files compressed and opened up the right way. iPackr gives you added help for getting files open quickly and effortlessly. You can compress ZIP and 7Z files and then decompress them and RAR files. The 64-bit computing feature on iPackr helps you to open files quickly. Pros: Drag and drop support, works for many volumes on a single archive. Cons: Does not compress RAR files although it can decompress them, not much for a preview feature. SimplyRAR is the last of the options for you to see when finding a great archiver for your Mac needs. However, this is a program that has not been updated in a while, what with the company that built SimplyRAR no longer being operational. But the good news is that SimplyRAR is stable and should work well for your needs when getting files ready. The SimplyRAR, you can right-click on a RAR or ZIP file and automatically get it opened up through SimplyRAR. You can use this quickly without using up lots of resources on your computer. Pros: Simple design, easy to use for many file formats. No wonder you need a great WinRAR alternative if you want to get your ZIP and RAR files read well enough. You as a user should not have to struggle with trying to compress files or by opening up such files as you see fit. For 90 percent of Mac users, The Unarchiver should be sufficient. Keka is another good choice if you are looking a free 7-zip alternative to Mac that supports password protection and different level of compression. The choices that are available offer many ways for you to get more out of a program without being a challenge for you to utilize or handle in any form.